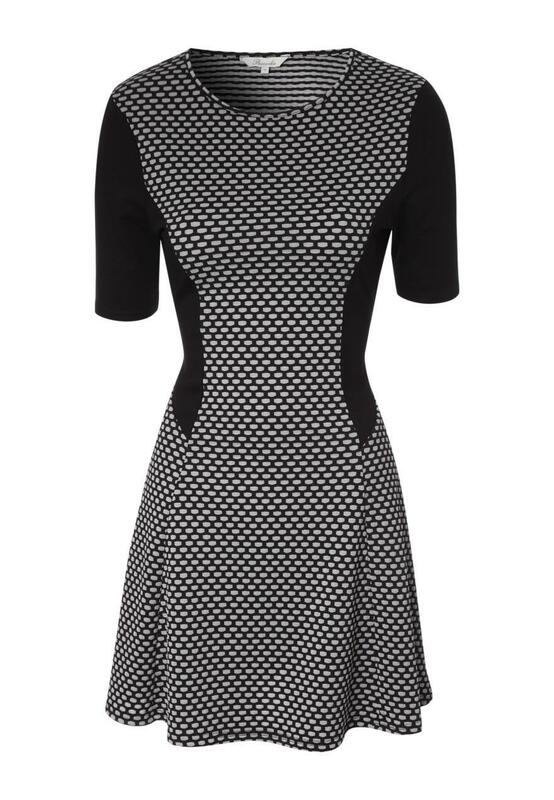 Create the perfect figure in this illusion panel jacquard print dress. Featuring half sleeves, a rounded neck, a fit and flair skater cut and to the knee skirt. 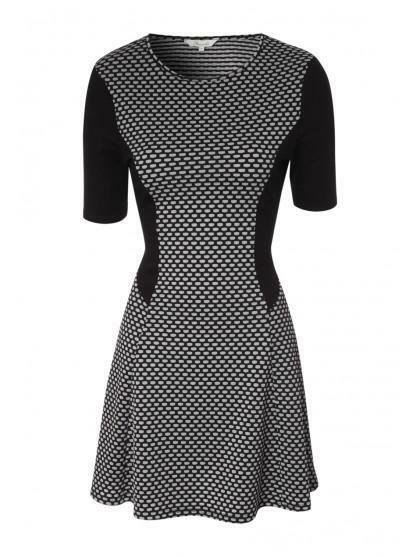 This dress is a perfect essential worn with opaque tights and cut out boots.